The Midtown museum, playhouse, and education center, which turns 40 this month, is one of the only institutions of its caliber in the world. On this Tuesday afternoon, puppeteer Jeffrey Zwartjes is talking to a roomful of curious tweens about how to invent a character. Half hipster, half camp counselor, he sports thick-rimmed glasses and a thicker beard, a newsboy hat, and a pair of calf-high, striped tube socks that look straight out of Stranger Things. On a whiteboard easel, he sketches different examples, explaining how the shape of a head can convey personality. Square faces are stronger and brawnier; the puppet might be a bully—or a robot. A smaller, round face is happier. He asks the kids for suggestions. “Draw a chicken nugget person!” exclaims camper Emerson. “Okay, a chicken nugget person,” Zwartjes plays along. He draws a squiggly oval, then adds facial features suggested by the kids, who are sitting around the room on carpet squares. A crusty mouth that drips sauce. Acne. Big doe eyes. “It looks like Aqua Teen Hunger Force,” someone murmurs. That was when Newsweek decreed the ensemble “one of the most exciting companies in American theater.” Founded by Vincent Anthony 40 years ago this month, it is the largest nonprofit dedicated to puppetry in the nation and one of only a few such international organizations. It hosts around 17 shows each season on its two stages, about half a dozen of which are original productions. The others are presented by puppeteers from across the United States and around the globe. The Center also houses a museum with a 4,000-piece collection, provides more than 1,600 hours of educational programming annually, hosts well over 100,000 visitors each season, and acts as the U.S. headquarters for UNIMA, the world’s largest puppetry organization. Serving as a museum, performance space, and education center all rolled into one makes the Center stand out on the world stage. “There is no other place on Earth that makes it as accessible to discover, view, or experience the art of puppetry,” says Paul Robinson, the executive director of Puppeteers of America. For the Center’s 78 full- and part-time staffers, working here isn’t so much a job as a calling. More than half have been with the Center for five years or longer; a quarter have been employed there at least a decade. Aretta Baumgartner, who heads up the education department, just celebrated her seventh work anniversary. In front of the campers, she is constantly in motion, jumping and waving with all the enthusiasm and dramatic flair of Oprah unveiling her Favorite Things, her short, merlot-colored locks bobbing, fingernails sparkling with glitter, and her gold necklace flashing PUPPET in block letters. Education director Aretta Baumgartner shows off a hand-and-rod puppet. “Puppetry is a universal language,” she says. The smaller the world gets—as technology and globalization bring us closer to those who speak different languages, look different, and hold different values—the more important it is to find common ground and the less we can rely on the spoken word to connect. But all humanity, Baumgartner argues, shares a passion for storytelling. But attitudes seem to be shifting. Puppets now make regular appearances on Broadway in shows such as War Horse, The Lion King, and Frozen. Jim Henson’s 1982 cult classic, The Dark Crystal, is being revived as a Netflix series. Puppet slams, similar to their poetry counterparts, are cropping up all over the United States. The Center is producing more adult programming than ever. 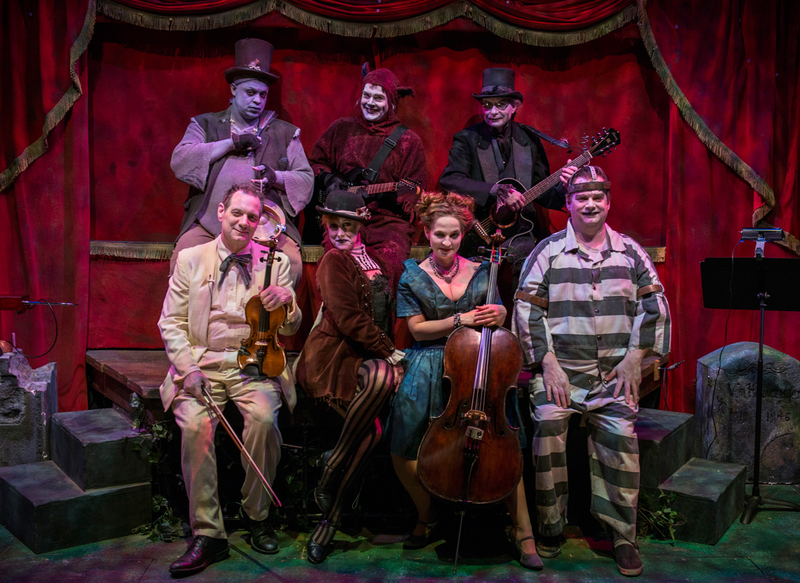 A couple of classics—vaudevillian Halloween favorite The Ghastly Dreadfuls and the annual Xperimental Puppetry Theater, a variety show of avant-garde media—have been around for more than a decade. However, two newer programs, the annual National Puppet Slam and a costume ball (this year themed after The Dark Crystal), are gaining traction at Dragon Con, which added a puppetry track, run by Center community coordinator Beau Brown in 2012. After long, winding lines outside the original, 150-person­–capacity room at the Marriott Marquis jammed up the hallways, the convention now allocates them more than double the space. And, year-round, the Center has introduced adults-only events such as “Puppets and Pints,” which offers a cash bar and a chance to view the museum without having to maneuver around excited children. That program, plus “Fizz and Foam,” a mimosa and puppet-making brunch, sell out quickly. 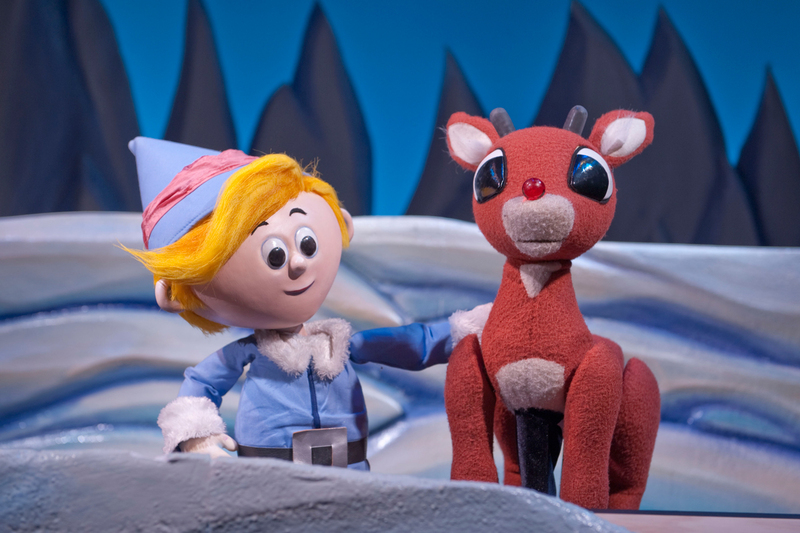 The Center’s annual staging of Rudolph the Red-Nosed Reindeer has become an Atlanta holiday tradition. Like Baumgartner, Anthony has roots in theater. The Florida native studied acting at New York’s Herbert Berghof Studio, and, in 1964, he answered a classified ad seeking a puppeteer and auditioned for a company called the Nicolo Marionettes. He toured the country with the company’s production of Pinocchio, and in 1966, he moved back to the South to launch his own company in Atlanta, the Vagabond Marionettes. They performed at the Woodruff Arts Center for nearly a decade, and when the Spring Street building—formerly a historic school integrated by the children of Martin Luther King Jr. and Ralph David Abernathy—became available in the late 1970s, Anthony seized the opportunity for a more permanent performance space. As president of Puppeteers of America, Anthony had gotten to know Jim Henson, whose television show Sesame Street debuted in 1969, followed by The Muppet Show in 1976, helping take the genre mainstream. When Anthony invited his mentor to the opening celebration in Atlanta, Henson replied, “Well, Kermit will be there, and maybe he’ll bring me along.” On September 23, 1978, Henson and Kermit the Frog cut the ribbon in front of a crowd of about 200 people. Jim Henson and Kermit at the grand opening in 1978. Anthony’s work alongside Henson planning the 1980 World Puppetry Festival truly inspired the Center’s mission. The international festival—based on three core tenets of performance, education, and exhibition—drew artists and puppeteers from 20 different countries to the Kennedy Center, the Corcoran Gallery, and the Smithsonian. Anthony adapted the festival’s principles here in Atlanta and, more importantly, realized his center needed to have a global outlook. After all, puppetry has a wide-reaching history. In India, puppets are mentioned in the epic poem The Mahabharata, the oldest segments of which date back to 400 BC. In England, Punch and Judy, the comedic duo that delighted British audiences in the 1700s, still perform today. The Center’s Global Collection boasts thousands of artifacts; a tall Sicilian knight named “Orlando” greets visitors at the entrance. Among the oldest in the collection are two clay figures from the Huasteca region of Mexico dated 1200–1500 AD, thought to have been used in ceremonial rituals. There are Vietnamese figures that dance upon the surface of water and would have been operated by puppeteers standing waist-deep in a pool behind a screen. And it takes three puppeteers to operate each 17th-century Japanese bunraku puppet—not to mention the 10 years required to master operating each part. In 2015, the Center underwent its biggest transformation yet with a $14 million renovation that expanded the museum by 7,500 square feet. The annual budget is now close to $4 million, with major support from the Hensons, the Mayor’s Office of Cultural Affairs, Fulton County, foundations like the Gay and Erskine Love Foundation, and major corporations like Home Depot and Turner. 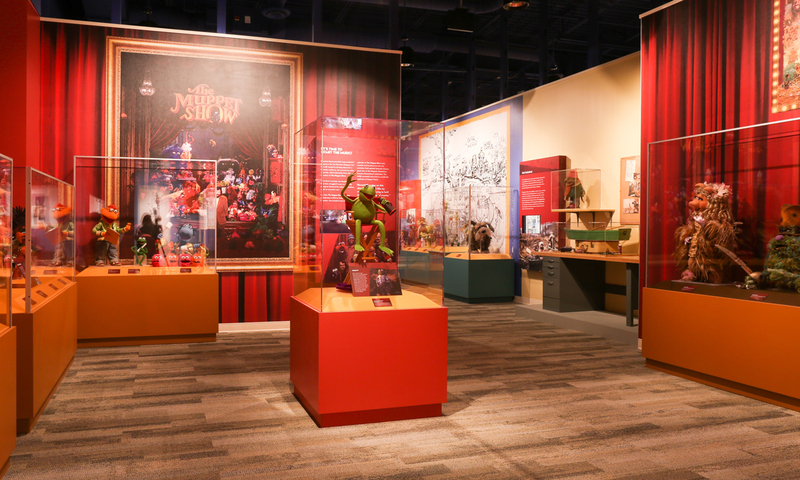 The permanent collection is now split into two sections: one devoted to Henson and his Muppets, the other highlighting global puppetry traditions. The Henson family donated a collection of more than 500 puppets, props, and costumes to the Center in 2007, but a monumental task accompanied the gift: The puppets built for Henson’s TV shows and movies were never designed to be on display, or even to last longer than the initial runs of their performances. As the puppets sat in storage for decades, the foam that shaped their bodies began to deteriorate and crumble. Enter Russ Vick and Vito Leanza, who in the past four and a half years have painstakingly repaired creatures from The Muppet Show, Fraggle Rock, Labyrinth, and other Henson favorites. Russ Vick examines urAc, a scribe from The Dark Crystal. On one Friday afternoon in June, Vick stands behind a cluttered workbench in his studio at the Center, examining one of the final Henson puppets in need of care. The tabletop in front of him is littered with paintbrushes, napkins, syringes, and plastic bottles with hand-scrawled labels (“Elixer of the DEAD,” one reads). A silicone mat holds what look like tiny, jagged pebbles but are actually pieces of foam that have crumbled from urAc, a scribe from The Dark Crystal. UrAc’s body parts are scattered around the room. Its massive hips, big enough to hold a human puppeteer, sit on a nearby table; a hand lies near the skull. The tail splays across a plastic shelf. 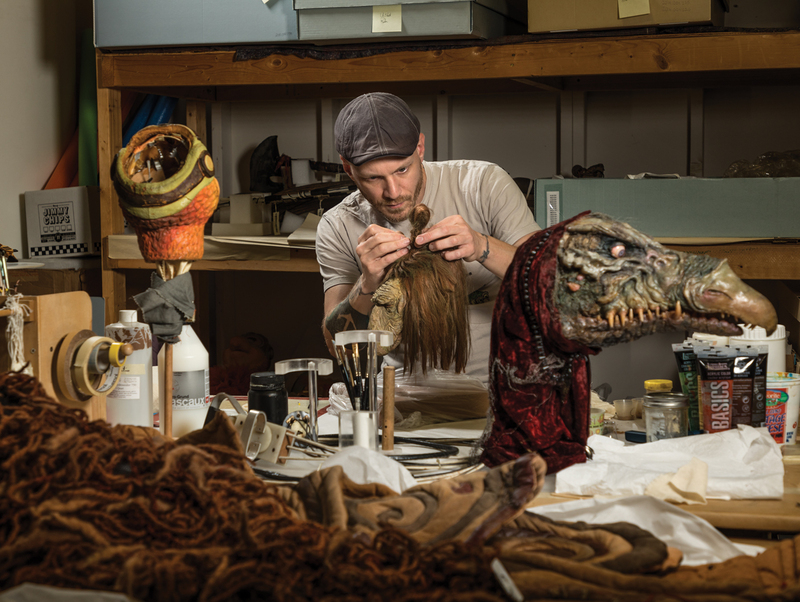 The characters that Vick is preparing for the museum’s Dark Crystal special exhibition, which opened on Labor Day weekend, look startlingly real. UrAc’s expression is tired yet wise. Its eyes are sunken, cheeks sagging. Thin white hairs sprout out of tiny pores near its eyebrows and mouth. Near it on the other end of the table, a sinister, birdlike creature called a Skeksis snarls with sharp, curved, yellow teeth, its bloodshot blue eyes locked in a disarming stare. As a conservationist, Vick uses as little new material as possible to plug cracks and holes. He gathers the crumbled foam latex that stuck to the bubble wrap securing the puppets, collected in the bottom of storage trunks, or even clung to a puppet’s clothing and tries to place the pieces, some as small as a pencil lead, back exactly where they belong. He even fills in some gaps with the degraded foam dust. He maps 3-D models to document the puppet’s inner workings, because, he says, “once this goes together, it’s not coming apart again.” For Vick, the tedious task is a once-in-a-lifetime opportunity to save the very fantastical characters he worshipped at the movie theater when he was growing up in tiny Boston, Georgia. And while conservation of the Center’s Henson collection is nearly complete, he’s likely to keep his unique gig; both the Academy of Motion Picture Arts and Sciences Museum and the Smithsonian have expressed interest in having him repair their Henson relics. Across the hall, resident puppet builder Jason Hines is painting a purple moose in watercolor on a large sketchpad, a design for the Center’s upcoming spring debut of Harold and the Purple Crayon. He’s trying to figure out how to turn the two-dimensional line art of the beloved 1955 children’s book into three-dimensional puppets. A sculpture of Harold sits on a shelf near the door, next to a sculpture of Pete the Cat, the Center’s hit adaptation of 2017. At another table, puppet shop manager Carole D’Agostino is resizing a vivid yellow-and-orange lion costume, worn in a production of The Tortoise, the Hare & Other Aesop’s Fables by a 5-foot woman, to fit a 6-foot-6 man. Everything for the Center’s original shows is built in-house. Each puppet is crafted in this shop. Elaborate sets are built in the large scene shop just a few steps over. Jason Hines works on elf hands in the puppet shop. 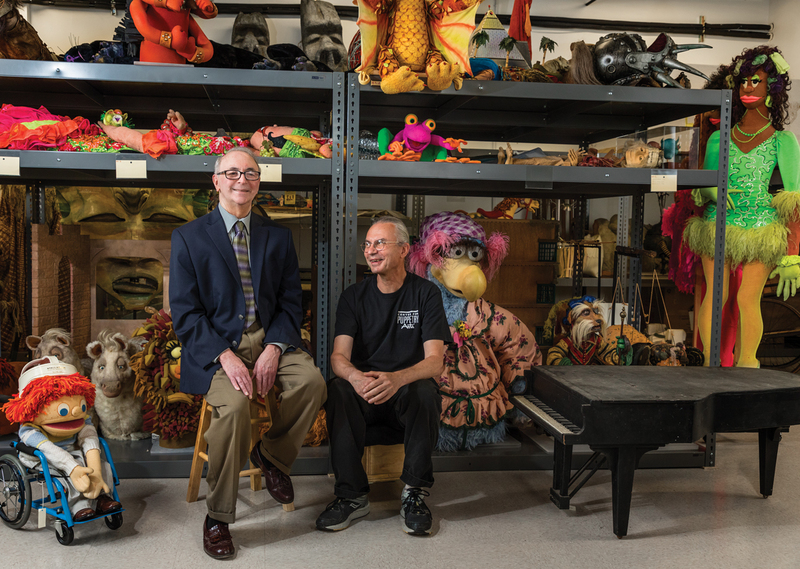 D’Agostino and Hines are both graduates of the University of Connecticut’s Puppet Arts program, one of the only schools in the country to offer degrees in puppetry. Founded in the 1960s, it teaches not only the fundamentals of performance but also theatrical components such as set design and costuming. Hines’s thesis, an original show titled The Tragic History of the Damnable Life and Deserved Death of Dr. Faustus, was performed only once. Hines made Satan’s inferno appear as realistic as possible by torching the entire set at the end. “It’s a penguin,” he says. “I could not be more excited,” she exclaims, and you get the sense that, while any adult hams it up around young children, she really is. Oddly, technology has changed how children react to puppetry. Young kids, accustomed to interacting with screens, don’t always realize performers are physically present. Accustomed to jabbing touchscreens, they sometimes get “accidentally aggressive” with puppets, Baumgartner says. Tech-savvy children are stunned when a show magically comes to life. Ask anyone who’s ever read The Velveteen Rabbit—it’s powerful when toys become real. “I don’t think we as adults give ourselves quite enough permission to play,” Baumgartner adds. Psychologists have long recognized the value of play to children’s development, but Baumgartner insists adults need it, too. It’s critical in puppetry, of course—“They’re called ‘plays’ for a reason,” she says—and a sense of fearlessness allows for greater creativity. But it also extends to work and personal relationships. 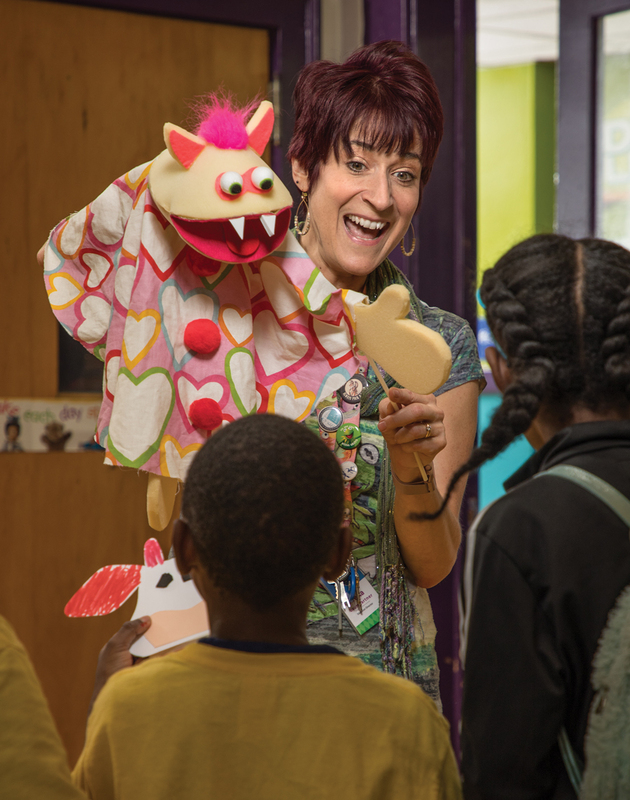 The Center for Puppetry Arts opens at the Spring Street School. 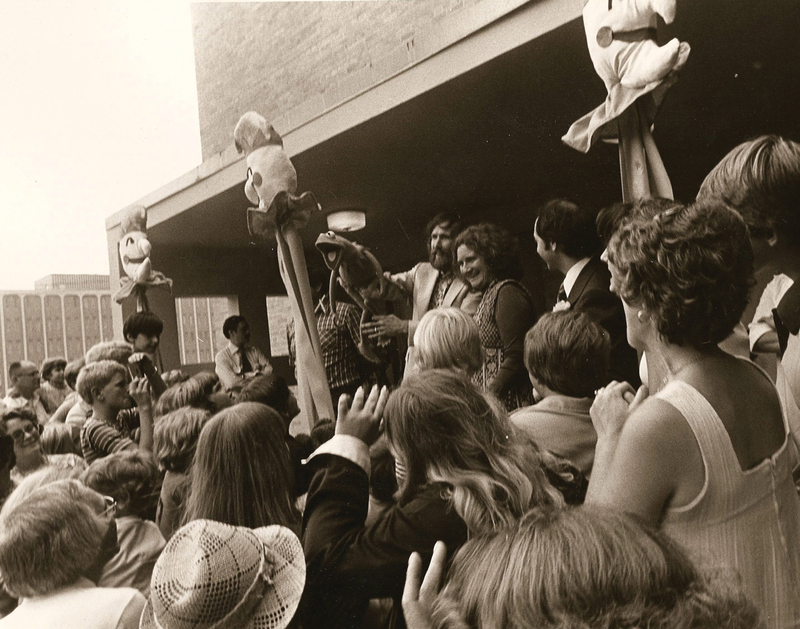 Jim Henson and Kermit the Frog host the ribbon-cutting. Jon Ludwig pens and directs his first show for the center, Brer Rabbit. He would go on to write dozens of the Center’s award-winning original shows. The Center celebrates its 10th anniversary with The Muppets Take Atlanta, performed by Jim Henson. The Downstairs Theater, the Center’s second stage, opens. The Center becomes the headquarters for UNIMA-USA, the U.S. branch of the largest international puppetry organization. 22,000 people (roughly the population of Acworth) descend upon the Center during the Olympic Arts Festival. The Center’s research library opens to the public. In 2009, it is rededicated as the Nancy Lohman Staub Puppetry Research Library in honor of the museum collection’s founder. The Center begins offering its distance learning program, which in the 2016–2017 school year reached more than 11,000 children in 29 states and four countries. The Ford Foundation awards the Center a $1.25 million grant. The Center develops a relationship with Camp Kudzu, which serves children with Type 1 diabetes. Jane Fonda attends the annual String Fling Gala and is given a custom Barbarella marionette built by Jason Hines. Ludwig is nominated for an Emmy for directing Disney Channel’s The Book of Pooh. The Ghastly Dreadfuls, written by Ludwig and Hines, is staged for the first time. The Henson family announces they will donate more than 500 Muppet artifacts to the Center, the world’s largest collection. During the recession, the Center provides more than 80,000 free or reduced-price tickets to students. 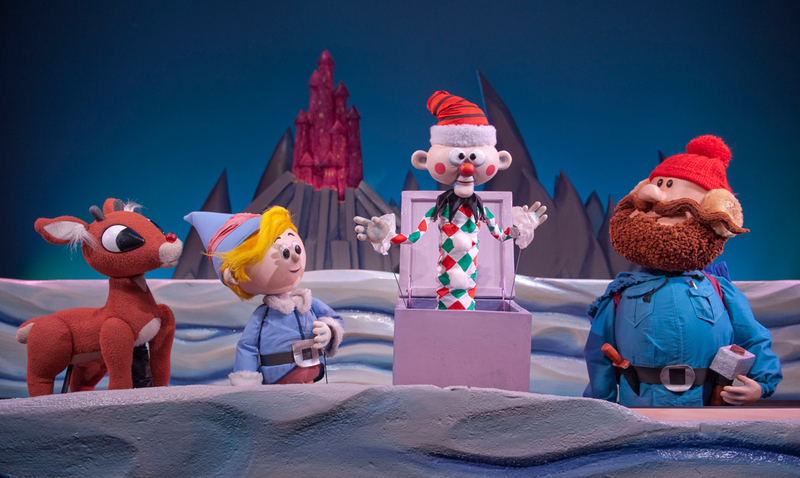 Rudolph the Red-Nosed Reindeer premieres. The Center hosts its first National Puppet Slam. Sockly, the Center’s giant sock puppet mascot, makes its debut. The Worlds of Puppetry Museum opens in November after a $14 million renovation and expansion. 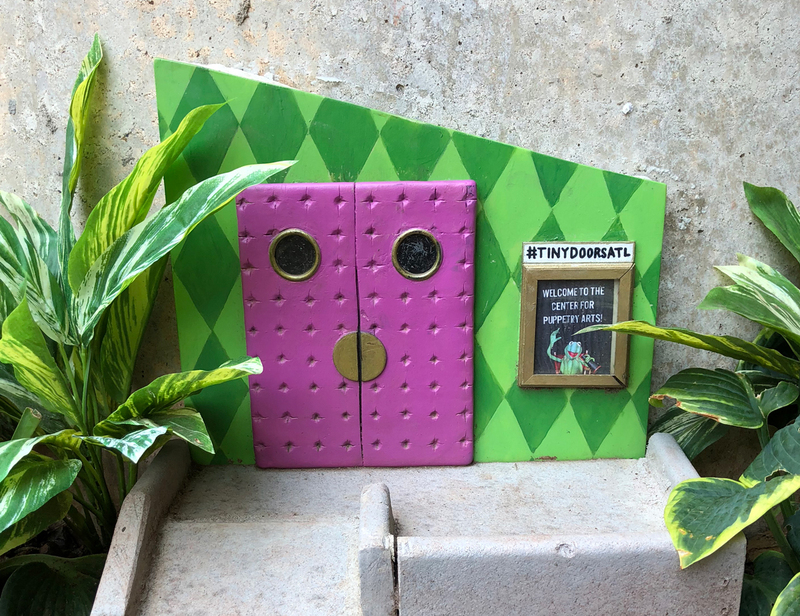 The Center gets its very own Tiny Door. The Spring Street School building turns 100 as the Center turns 40.